Dr. Peterson graduated from Cornell College of Veterinary Medicine in 1997. Prior to that she obtained a B.S. degree in Psychology from Fordham University and a M.S. degree in Environmental Science from the SUNY College of Environmental Science and Forestry. After working in the environmental field for several years, she decided to develop her passion for working with animals into a career in veterinary medicine. For the first fifteen years of her career, she worked in stationary animal hospitals providing care to countless dogs and cats, pocket pets, an occasional reptile and bird, and even a kangaroo. Dr. Peterson began offering house calls when she realized that many people and their pets dreaded going to the vet. She feels that providing veterinary care in the home can be much less stressful for both the pet and the client, and she's happy to be able to provide this service. For many years, Dr. Peterson volunteered at her town's cat shelter. She nows provides veterinary care for a local dog shelter. She is a member of the American Veterinary Medical Association, the Connecticut VMA, Massachusetts VMA, the Veterinary Information Network and the American Association of Feline Practitioners. When she's not working as a veterinarian, Dr. Peterson is birding near and far, kayaking and gardening; enjoying vegan meals with Steve and friends; and playing with her energetic Jack Russell Terrier, Vida, and her three kitties, Flora, Mojo and Nick. 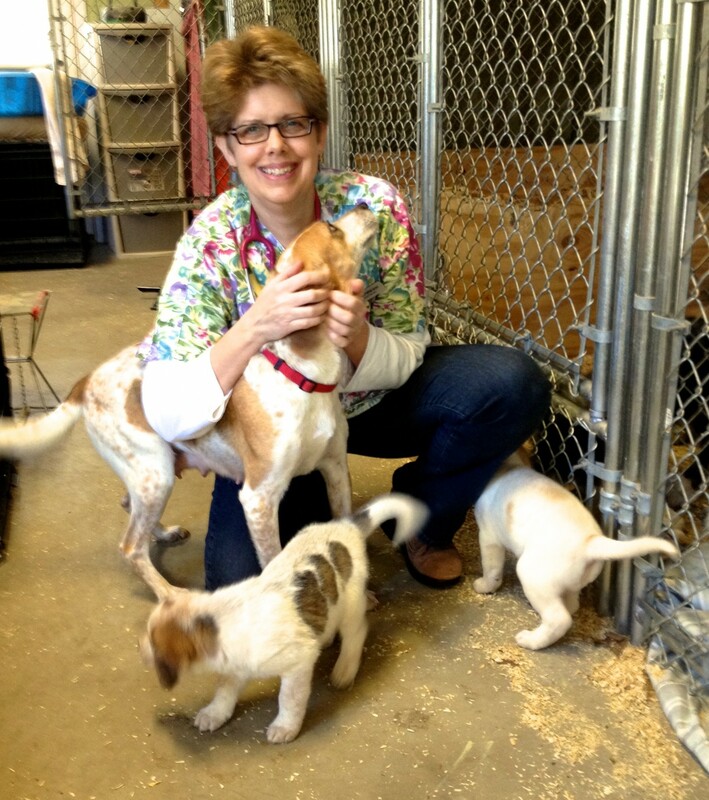 Sue is a certified veterinary technician who has worked in the veterinary field since 1984. She earned an Associate's degree in Veterinary Science from Holyoke Community College in 1985 and became a certified vet tech in 2008. She continues to work at a stationary vet hospital where she's worked for more than 30 years. She began assisting with house calls in 2014. Sue is a lifelong resident of Southwick, MA where she lives with her wonderful husband, a rescued dog, Mimzie and a fun-filled cat, Prim. She also shares her life with two amazing grown children. Sue enjoys assisting with house calls because they get her outdoors and each one is a unique adventure! When she's not working as a vet tech, Sue is enjoying more of the outdoors, cycling, TRX, yoga and healthful cooking.